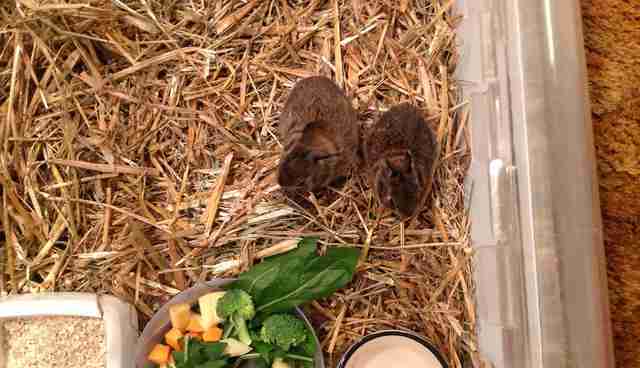 When a baby bunny - so young her eyes weren't even open - was found all alone, she was brought to Wildlife Haven Waterloo (WHW) in Ontario, Canada. 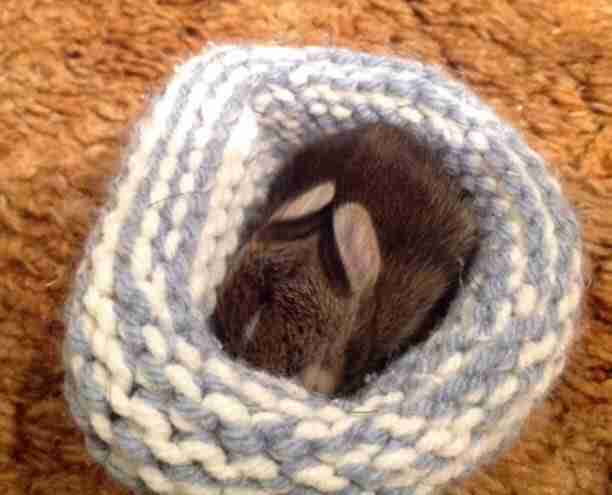 Even though baby bunnies have a hard time surviving without their moms, wildlife rescuers at WHW are trying to keep her strong - with the help of a tiny, hand-knitted nest. 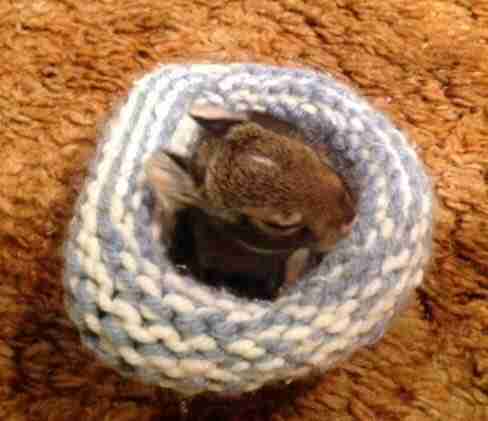 These little nests are provided by Wildlife Rescue Nets, a group that organizes crafty volunteers to knit and crochet all sorts of nests for wildlife rescue centers around the world, according to WHW. 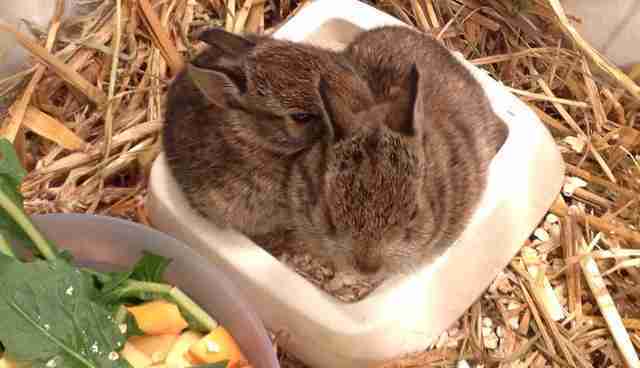 "Bunnies stress out a lot, so it is very important that they can feel safe and protected," Joy Huggins, of WHW, told The Dodo. But it's also important to build their strength and independence. 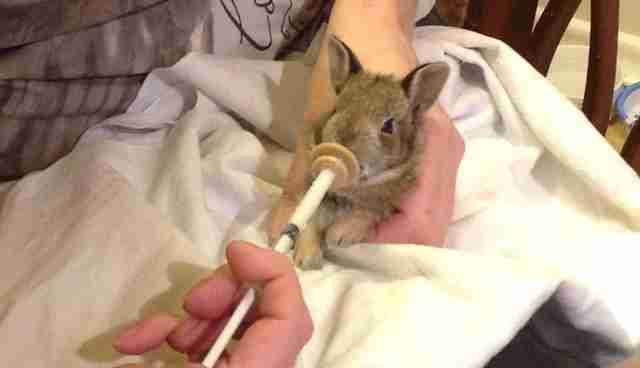 The baby bunnies at WHW get bottle-fed by caring rescuers when they're very tiny, like this one. Then, the babies get some time outside, so they can get used to the sights, smells and sounds of life in the wild. In the afternoons, Huggins takes this little baby - along with two others being rehabilitated at the rescue center - to an outdoor enclosure. 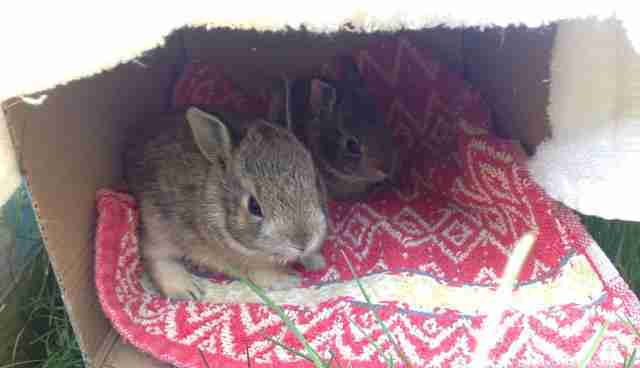 In case they get scared, there's a cardboard box - with a cozy blanket inside it - where they can hide. "The older the baby the better chance of survival," Huggins said. That this one is so tiny was a bit concerning at first. But things are already looking up for her. "She is starting to eat on her own which is very encouraging," Huggins said. "I am not giving up on her," Higgins said. 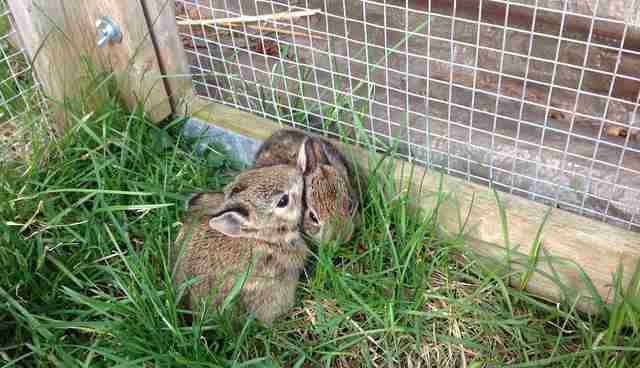 Click here to help Wildlife Haven Waterloo care for their special little residents. 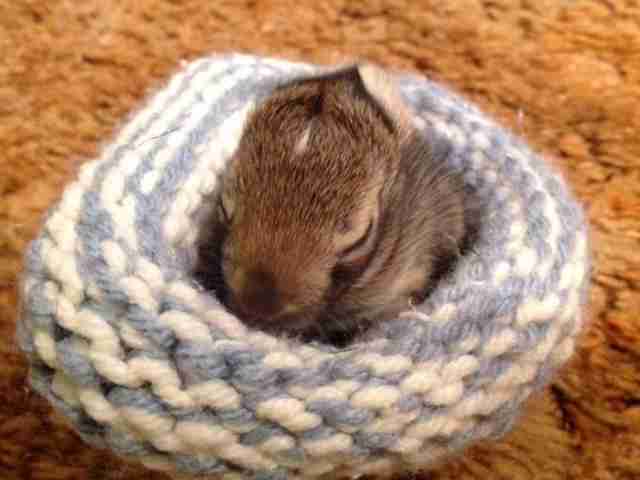 Click here to learn how you can volunteer or donate yarn to Wildlife Rescue Nests. 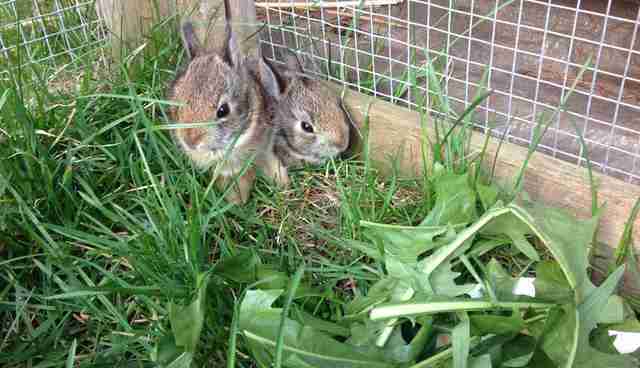 Remember: If you find a wild animal who appears to be injured or orphaned, pause before you do anything, WHW urges. Observe from a distance and wait. In many cases, the animal will do better without human intervention, according to WHW. "If you see a young animal on its own, be aware that its parents may have left it there for good reason. Infant mammals and birds are often left in a hiding spot while their parents forage for food. The parents may return infrequently, perhaps once a day, in order to keep predators from discovering the location." Learn more here.